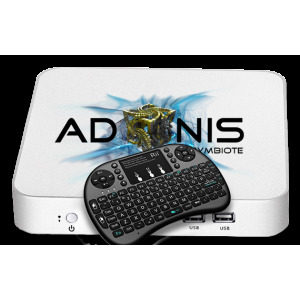 Adonis Symbiote, conference and universal air server (code named “Hecate”) is designed with conference rooms and the marriage of air server technology in mind. 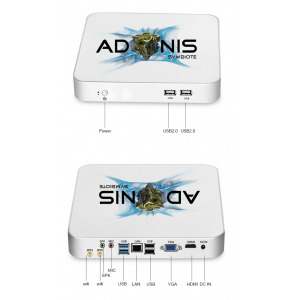 With Symbiote Hecate, you can broadcast iPhone, OSX, Windows, and Chrome to your monitor, conference TV, or projector without the need for multiple receiving devices. 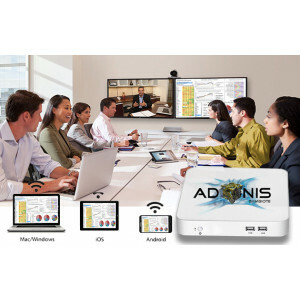 In addition, you can run office apps, spreadsheets, powerpoint presentations, web browser, Skype or other chat service, play your media direct from your SMB share, UPNP, or DLNA device, as well as watch live news and stock broadcasts from services such as CNBC, Bloomberg live, marketwatch, etc. Symbiote Hecate can broadcast multiple devices to simultaneously, so your board members can instantly compare notes and share data with the room. 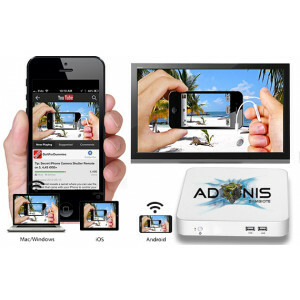 Add a web cam and Skype and other chat services can all be seen and heard by everyone without the need for additional hardware. Need more? Integration with IP speakers and phone systems and you can reach even the longest boardroom table participants and remotest callers. Symbiote Hecate, brings conference rooms alive..